After a wonderful lunch at the Auberge de l’Iil, we were invited to take our coffee on the lawn by the river. It was a beautiful sunny day and I decided to prolong the experience with a glass of Calvados and a cigar. As I puffed on the cigar and sipped the Calvados I watched a woman feeding the storks that had just landed nearby. It was a magical afternoon. 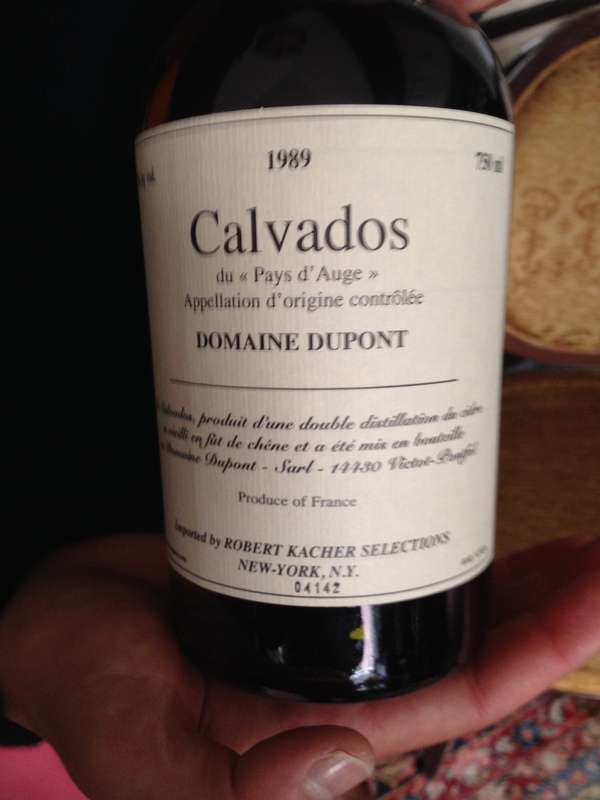 Calvados was on my mind when I went to meet Jerome Dupont of the Dupont Calvados Distillery. He is the fourth generation in the family business and joined the firm in 2002. In 1887 the Dupont family settled their cattle and apple orchard farm in Normandy. 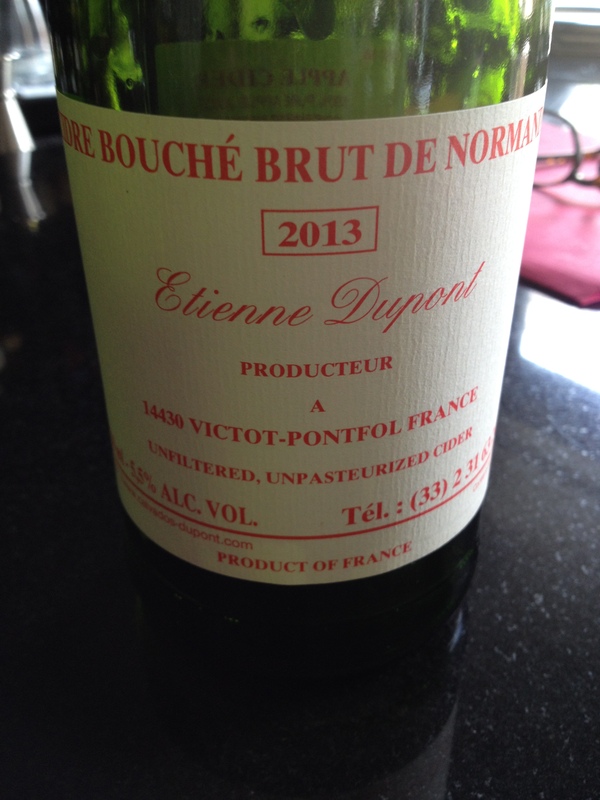 Today the Dupont Family estate consists of 30 hectares of orchards in Normandy in the heart of the Pays d’Auge region. There are 13 different apple varieties from sweet to sour among the 6,000 trees. 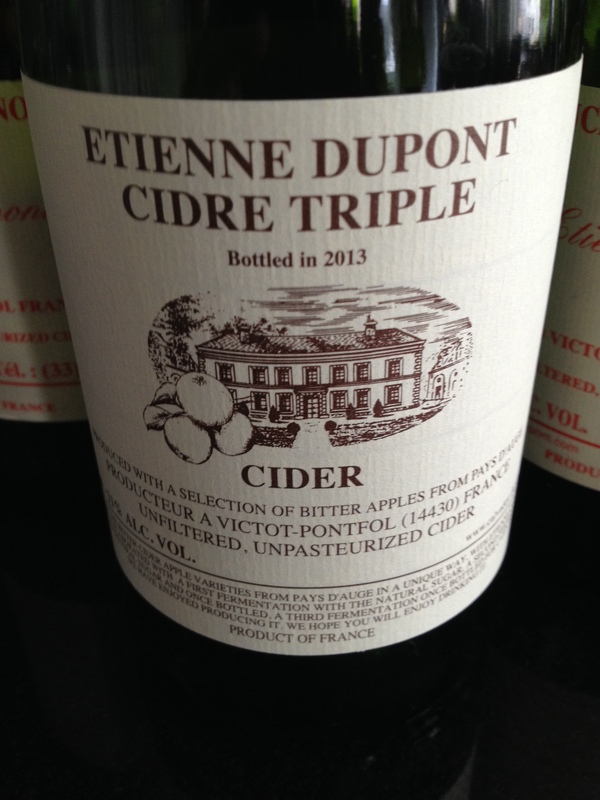 They produce cider, pommeau and calvados. The poor chalk and marl soil create small apples with thick skins to produce just the right aromatic intensity and concentration that they seek. The apples are ripe when they fall from the tree and are hand sorted. 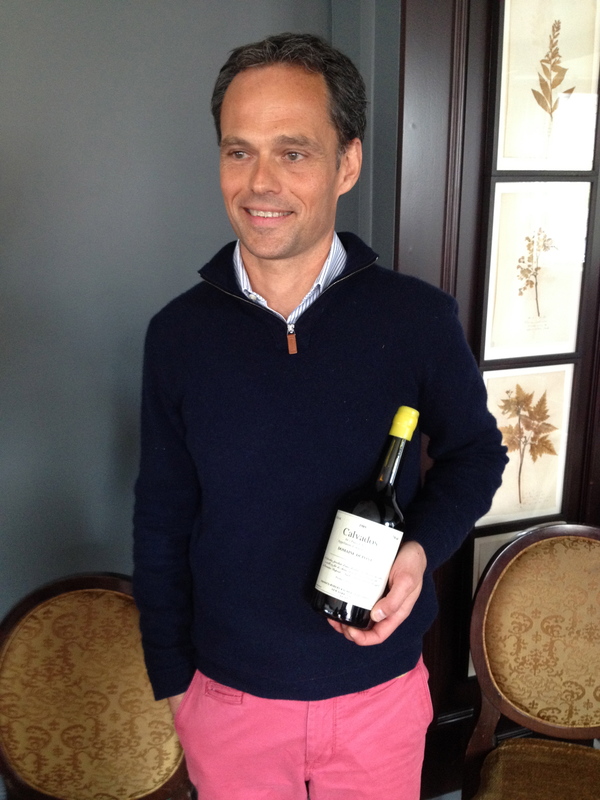 Like wine, Jerome said, you have to start with good fruit to get the desired result. 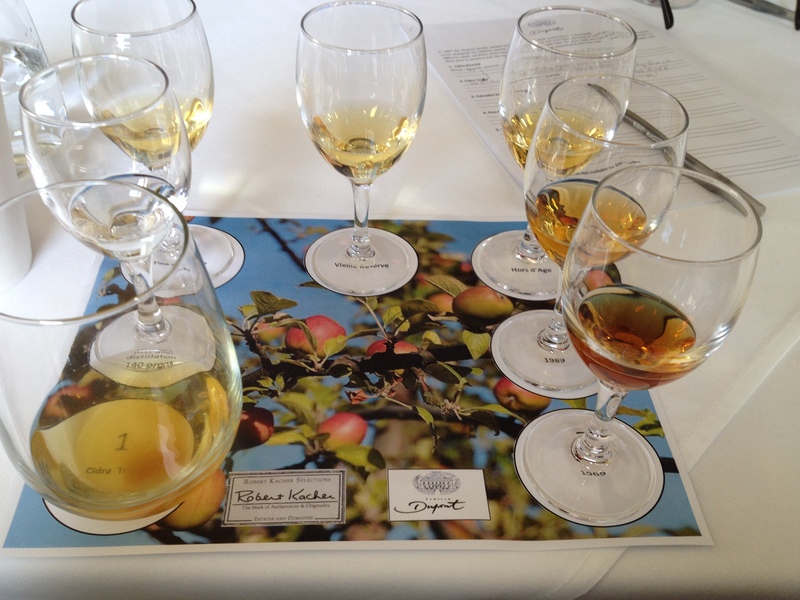 You can also make Calvados from pears and a combination of apples and pears but Dupont only uses apples. Jerome said they use single batch distillation and not continuous distillation, which is used by some of the larger producers. Cider Bouchè is made from 80% bittersweet apples and 20% bitter apples. The harvest takes place between October and November. The cider is made by the traditional method the Pays d’Auge. There is controlled fermentation in stainless steel vats using indigenous yeast. Stabilization of the cider is carried out by successive racking as is the fermentation. The cider is bottled unpasteurized between March and April. Jerome said that the density (OG) is 1060 after pressing, equivalent to 134 grams of sugar per liter and 1024 when bottled which results in 5% alcohol after bottle fermentation has been completed. There was a slight deposit at the bottom of the bottle, which Jerome said was natural because it is not filtered or pasteurized. it has aromas of cooked apples and a touch of cinnamon. Cidre Tripe is made from a selection of Mettais bitter apples. Jéròme said it was inspired by the techniques used to make long keeping dark beers. This is a triple fermentation using the bitter apples. After the first fermentation of the natural sugars, an addition of extra sugar allows for a second fermentation to take place giving the cider 10% alcohol. The third fermentation takes place in the bottle to give the mousse. It is bottled the year following the harvest. Density of (OG) 1065 after pressing, which equals 145 grams of sugar. It was dry, with hints of chicory and licorice with a bitter and slightly astringent finish and long aftertaste. 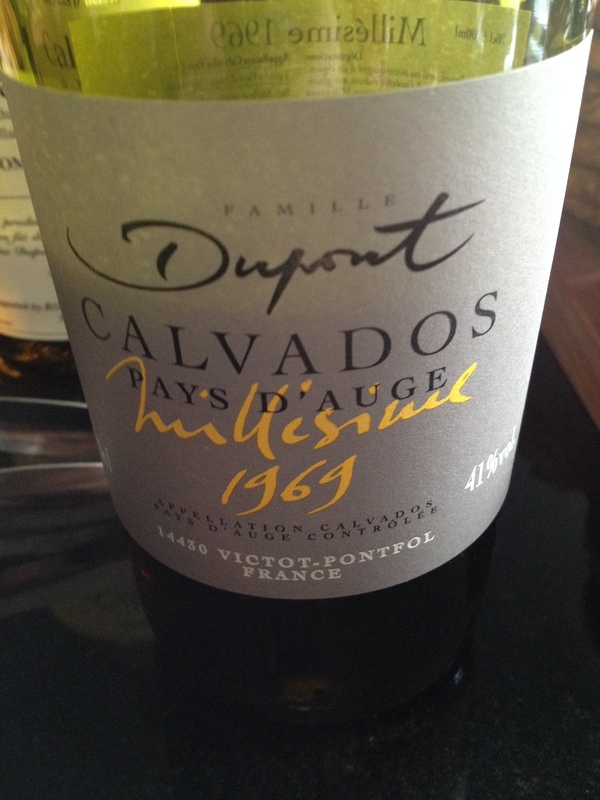 We also tasted a Calvados just distilled, which was 140 proof and reminded me of grappa. Jéròme said that in Normandy they used to add Calvados to their coffee in the morning. Calvados 1969 A.O.C. 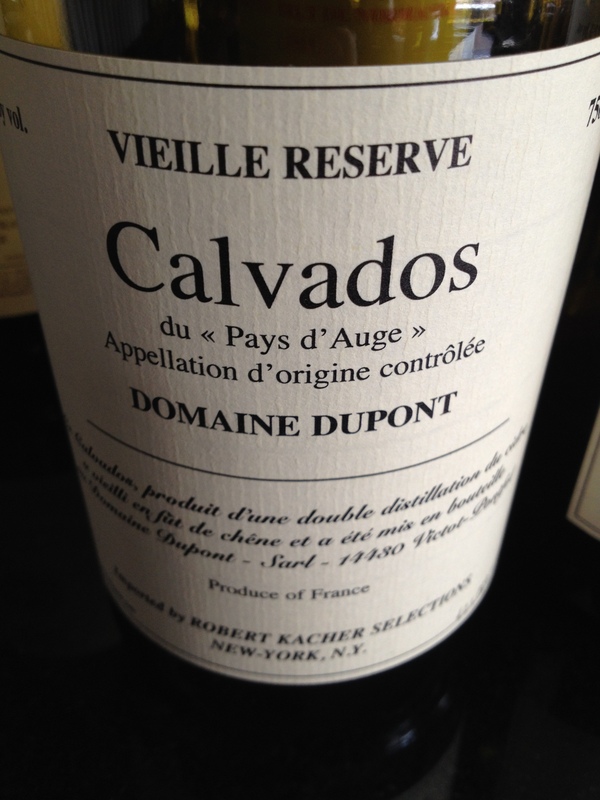 Calvados Du Pays D’Auge. Very deep mahogany color. Distilled in 1969 and aged in toasted oak barrels. It is intense but not aggressive with hints of wood and spices. Jerome said that its intensity makes it perfect for cigar lovers. 41% alcohol. Not available in the US market.